When you’re leaving your job because of personal reasons, it can be difficult to know what to say to your boss. In some cases, you’ll want to explain your reasons for leaving. In other situations, you might want to keep your explanation vague. You may not want to share the details, especially if they aren't related to your job. 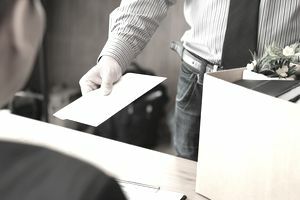 No matter why you’re resigning, it’s important that you write a formal resignation letter to your employer and that you give appropriate notice, whenever possible. Your goal now is to leave your job on a high note, so that you can keep your boss as a networking connection. Below, you’ll find some tips for writing a resignation letter when you resign for personal reasons, as well as two resignation letter samples. Use these templates to help you write your own resignation letter. Speak to Your Boss First: If possible, tell your boss about your plan to resign in person, before you submit your official business letter. That way, you’ll avoid blindsiding your manager. You might also send this letter to human resources. Include the Date of Your Last Day: In your letter, state the specific date you plan to leave work. Try to give at least two weeks’ notice. If the circumstances are such that you can't give that much notice, give as much lead time as you can. Keep Your Reasons Brief: You do not have to go into detail as to your reason for leaving. You can simply say, “I am resigning for personal reasons,” or “I am resigning because of a family problem that requires all of my time.” If you want to go into more detail (for example, to say you are leaving to be a stay-at-home parent, or because of family illness), you can explain. Don’t get into the weeds offering too many specifics or too much information. You want to keep the letter brief and to the point. Stay Positive: You might need to ask your employer for a recommendation in the future. You may even apply for a job at the same company someday. Therefore, stay positive when you talk about your experience at the company. Be clear that you are resigning for personal reasons, not because of dissatisfaction with the job or organization. Offer Your Help: If possible, offer your help during the transition period. You might offer to train a new employee or help in some other way. If you can be flexible about your leave date, include an offer to stay longer if it’s helpful to your manager. Ask Questions: If you have any questions about benefits or vacation time payouts, you can ask them in your letter. Follow Business Letter Format: Make sure to follow proper business letter format in your letter. Include a header with the employer’s name and address, the date, and your name and address. Edit and Proofread: You should also thoroughly proofread the letter before sending it. Again, you may need to ask for a recommendation from your employer, so you want all your work to be polished. Sending an Email: If you’re sending your letter by email, send yourself a test message to ensure that your message comes through as formatted. Include your contact information in your signature instead of at the top of the letter. List your name and the purpose of your letter (resignation) in the subject line. This is a resignation letter example for personal reasons. Download the resignation letter template (compatible with Google Docs and Word Online) or see below for more examples. I am writing to inform you that I will be leaving Atlantic Co. in one month. Although I have so enjoyed working with you and working for the company, personal reasons necessitate that I vacate my position and focus on improving my situation at home. My final day will be July 1st. Despite having to leave, I deeply appreciate the opportunities you’ve provided me with during my time as Online Sales Manager. I am very grateful for all of your assistance along the way. I will do whatever necessary to ensure a smooth transition after I move on. I have several team members in mind who I believe would be strong candidates for a promotion to my position, or I would be happy to assist with the process of finding an external replacement. Please do not hesitate to be in touch about what I can do to help. Once again, thank you so much for the opportunity to be a part of Atlantic Co. I do hope that we can stay in touch as business colleagues, and I look forward to working with you again in the future should the opportunity present itself. Many thanks for your understanding. I regret to inform you that I will be leaving Bolt Inc. in two weeks. Due to unforeseen personal problems, I am no longer able to fulfill the responsibilities of my role, and I feel it is in the best interests of the company that I vacate the position. I do hope that my leaving will not cause you or Bolt Inc. any inconvenience. Please do not hesitate to be in touch if you think there is any way I can assist with finding a replacement, or if there is anything I can do to make the transition smoother. Thank you so much for understanding. Despite the personal troubles I am dealing with, I enjoyed working with you, and I appreciate my time at the company. I hope we will be able to stay in touch and I look forward to seeing how Bolt Inc. grows in the future.